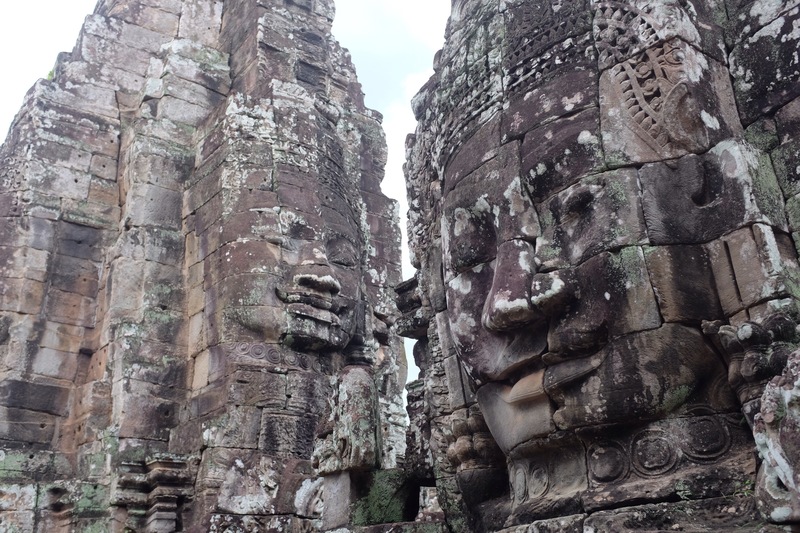 We spent three days in Siem Reap. 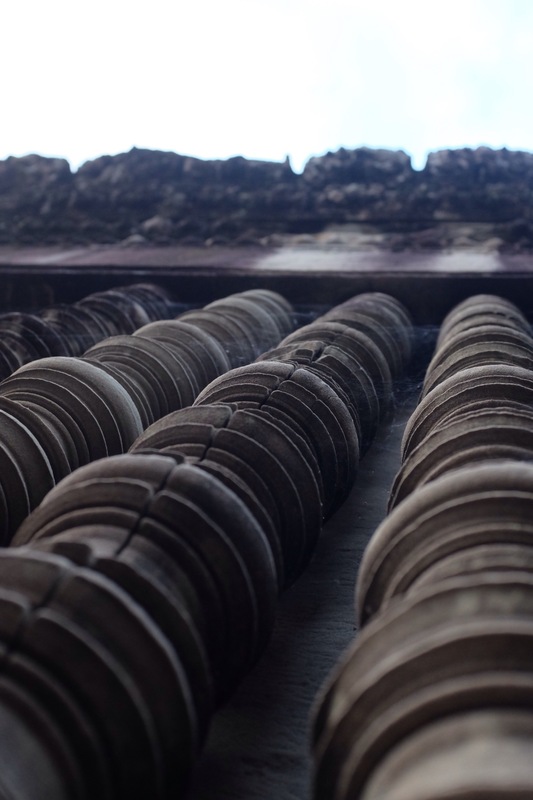 During that time we visited three temples and a silk factory. We’ll write about the silk factory in another post. 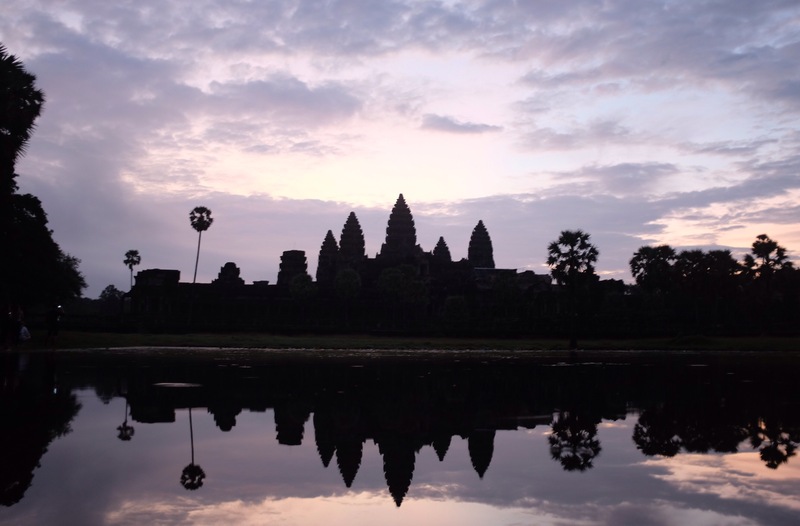 The largest religious monument in the world is Angkor Wat, enclosing about 400 acres. 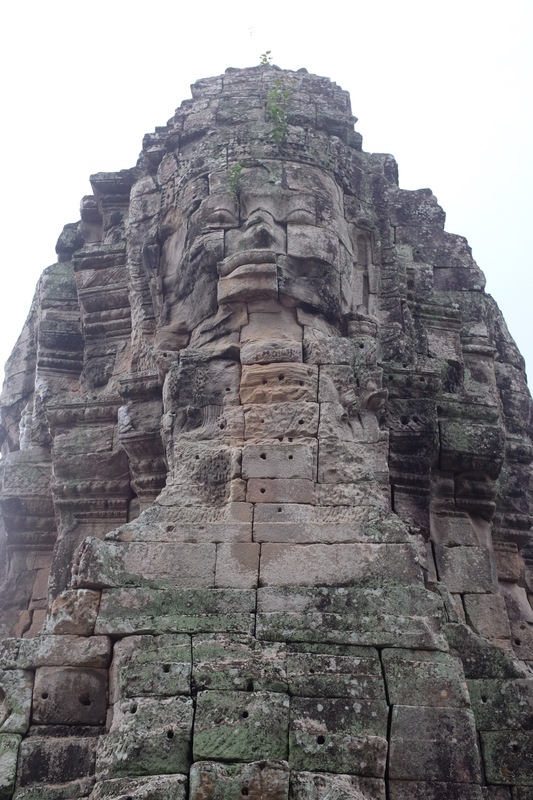 It was built to worship the Hindu god Vishnu by King Suryavarman II in the early twelfth century. The temple gradually came under Buddhist control by the thirteenth century. In the spirit of saving the best for last, we wanted Angkor Wat to be the final stop on our tour. 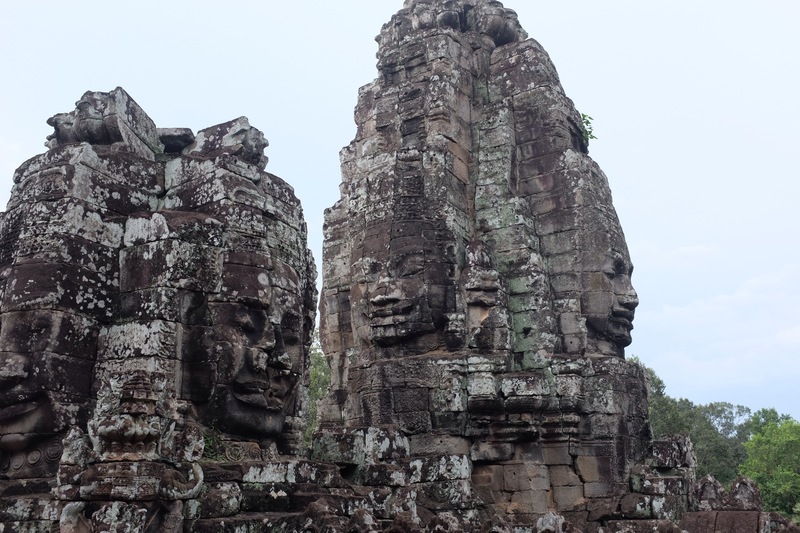 After visiting Ta Phrom Wat (Jungle Temple) on Day 1, we went to see Bayon, a structure with a multitude of massive serene faces and impressive bas-reliefs, showing historical and everyday scenes. The holes in the rocks were carved with iron chisels and held wooden pegs, used to move the rocks (with the help of elephants). 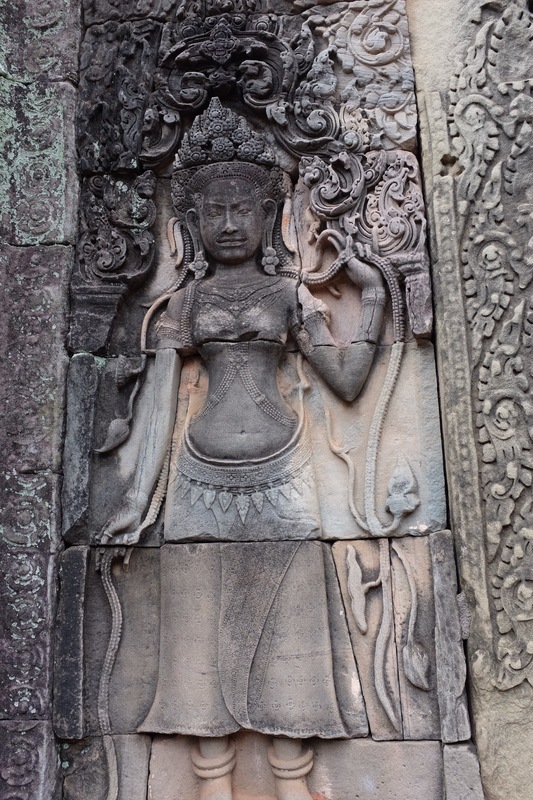 On to Angkor Wat. People like to see Angkor Wat at sunrise. We woke up at 4h30 to get there ahead of the (huge) crowds. Inside Angkor Wat itself there are very steep stairs to get to the top of the towers. The stairs are steep to reflect the difficult climb to get to heaven. 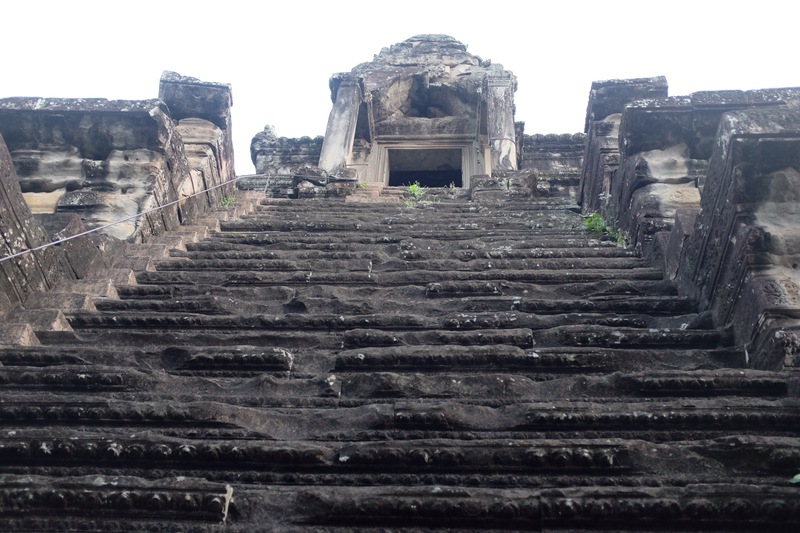 Everything at Angkor Wat seems to be steep and reaching for the sky. It was a great visit, unlike anything we’ve seen before. One could spend a year visiting all the wats here but we found that seeing three of them, spaced out over three days, was just right. Ida and Saga loved it and enjoyed the pace. So did their parents. 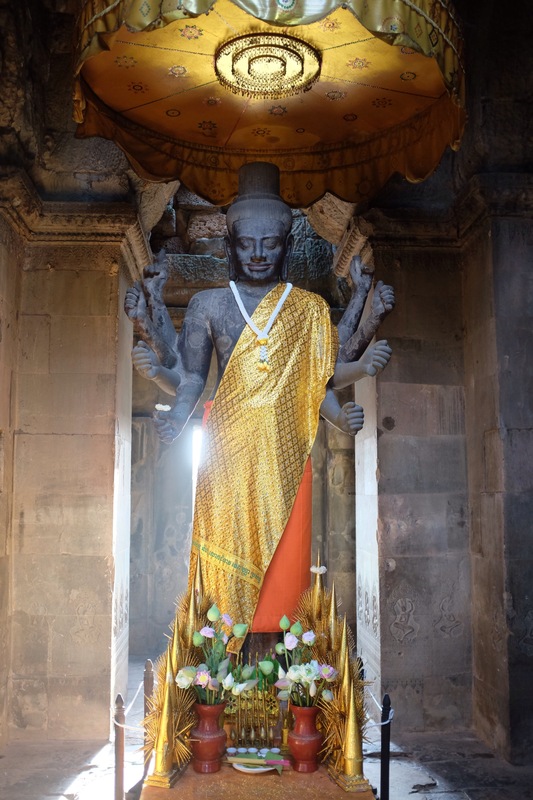 What beautiful photos and especially the sun rising over Ankor Wat! That must have been incredible to see and to share together. Thank you for your excellent descriptions Ida! Happy Thanksgiving from coastal BC!